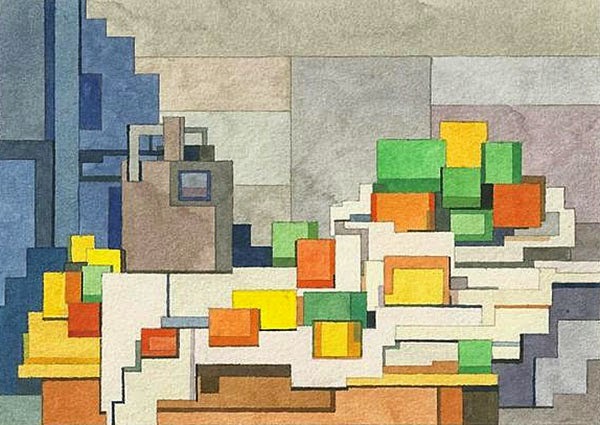 Adam Lister has received much press for his 8-bit watercolor paintings but I particularly like his take on classic art. It's a modern day ode to Cubism but also has aspects of early Nintendo games with their blocky graphics. You can see more of Adam's work at his website.